Sustainable design has made its way into the upper hierarchies of a hotelier's priorities as it has proven to correlate with increased revenue. Benefits of the "greening" of the hospitality industry result in higher occupancy rates, coupled with efficient and profitable operations. To say that sustainability has become desirable among modern consumers and hoteliers alike, would be an understatement. As previously witnessed in other business sectors, sustainable measures have made a lasting impression on the hospitality industry. Forward-thinking hoteliers incorporate sustainable practices into their operations as early as possible to remain ahead of the curve and achieve higher results, where both sustainability and profit are concerned. Marriott, for example, has committed to reduce water consumption by 15%, carbon by 30%, waste by 45%, and food waste by 50% by 2025. Marriott began setting sustainability goals in 2008 and has documented their progress every year since. As an industry leader, Marriott has set an example to incorporate waste-reducing measures as a standard business practice. These measures are environmentally sound, help improve operations, and also resonate with consumers, particularly Millennials. A recent Nielsen global online study found Millennials are the demographic most willing to pay a premium for sustainable features. Generation Z follows this trend with 72% reporting they would pay more for products or services from "companies who are committed to positive social and environmental impact." 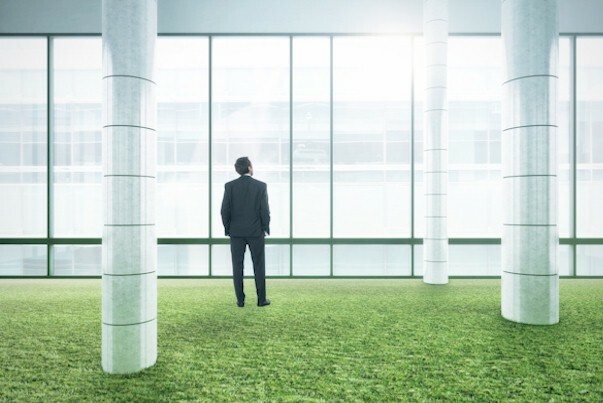 However, it is important to note that while these demographics highly favor businesses who engage in sustainable practices, they still expect plentiful amenities. This is especially true of Millennials. Millennials are also noted as being twice as likely to support brands with strong management of environmental and social issues, and also expect brands to not only manage their impact but communicate it. Still not convinced? Studies show that 43 million U.S. travelers are "ecologically concerned" and 70% of travelers prefer hotels with sustainability credentials. The buying power of these travel-savvy, well-informed consumers is paving the way toward a more sustainable hospitality industry, which continues to experience strong growth. According to a study by CBRE, demand for hotels is expected to rise by 3.8% in 2019. This increased influx of travelers also tends to seek hotels that integrate technology with enriching experiences in environmentally sound spaces, all while incorporating sustainability. Today's consumers simply want more for their money. While sustainability credentials can be acquired through simple practices such as recycling and reduced water consumption, hotels are seeking more innovative methods through which socially responsible practices can be channeled. To achieve these results, hoteliers are increasingly turning to architects and design professionals to create sustainable structures. Sustainability has extended into the overall construction and design of the hotel itself.